Even though we are now well into the 21st century, the western world is experiencing a phenomenal growth in the use of ‘Alternative Medicine’ (AltMed). Despite the lack of evidence, many educated, middle-class people are turning their backs on proven treatments, sometimes paying the ultimate price. In this most scientific of ages, why is this happening? Emeritus Professor Ernst is the world’s number one authority on AltMed. He is a dedicated academic physician, researcher and blogger. Early in his career, he saw patients benefitting from AltMed and wanted to find out how. Moving to Exeter University, UK, he was appointed to the world’s first Chair of Complementary Medicine, a position enabling him to study and conduct trials of AltMed practices. Finding little evidence to support most of them, his dedication to evidence-based medicine eventually led to his losing his job. 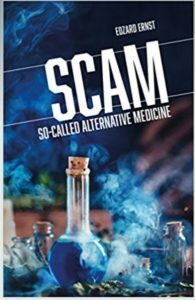 His new book SCAM: So-Called Alternative Medicine is his journey through AltMed: what it is and why it is growing. Ernst exposes how and why AltMed is facilitated by governments, international agencies regulators and universities. Generally promoted by celebrities and sporting stars, an increasing number of registered health practitioners, including physicians, nurses and midwives, now embrace AltMed. It is also widely promoted by uncritical, poor quality journalism, and – by those with vested interests – on the Internet. The book leads the reader gently into the murky world of AltMed; what it is, the arguments used to encourage its use and how to counter them. It discusses the risks involved, particularly for those who are seriously ill. It also exposes how these poorly trained practitioners attack anyone who challenges their flawed beliefs and the lucrative trade it generates. 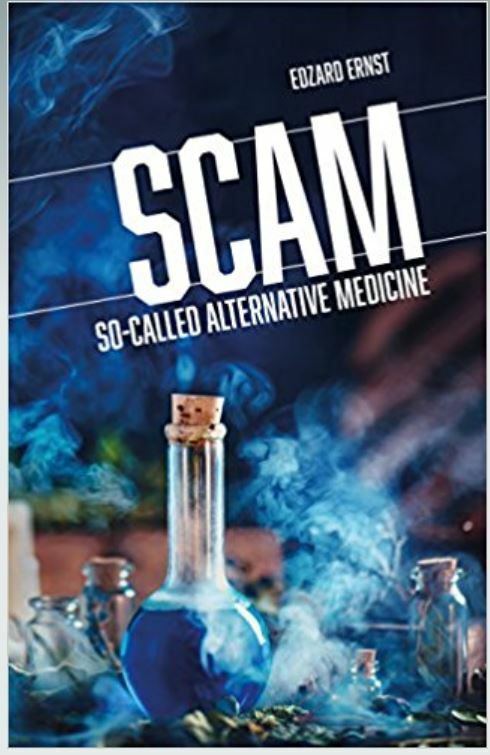 The book ends with a ‘tongue in cheek’ guide “How to become a charlatan”, highlighting the seemingly unlimited imagination of AltMed practitioners and the tricks of their trade. If you are a ‘true believer’, however, this book is not for you. If you’re a skeptic and/or a medical or science researcher, it’s a must. Click here to order the book from Booktopia.